I’m usually very much a budget traveller – I’m happy enough to be in the sun and not working. But I do love a good hotel (read my hotel reviews HERE). So while in Indonesia this year I thought I’d treat my boyfriend and I to a chi chi place in Gili Trawangan. My friends Grace and Sean put me on to this place, so thanks guys. 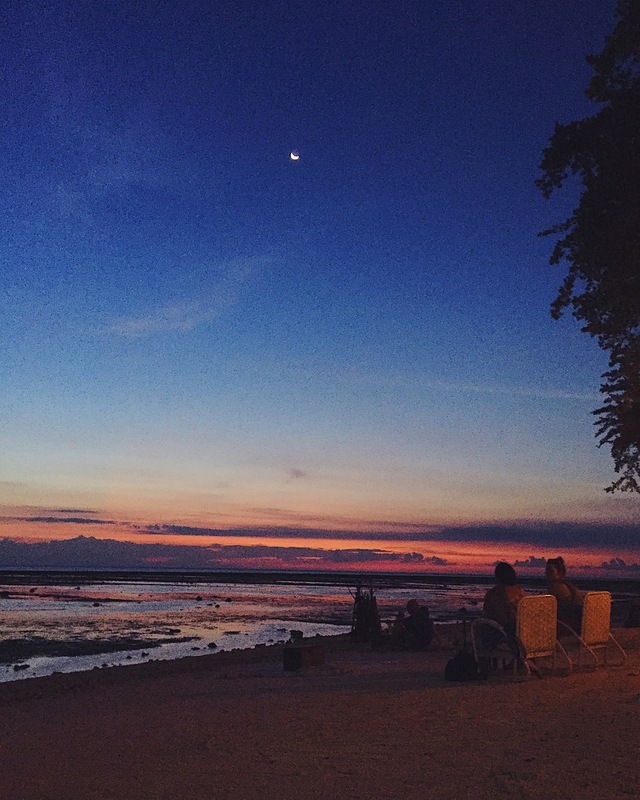 Gili Teak resort is on the quite side of Gili T. – and island known for its parties and as the rowdier sister to Gili Air and Gili Meno. 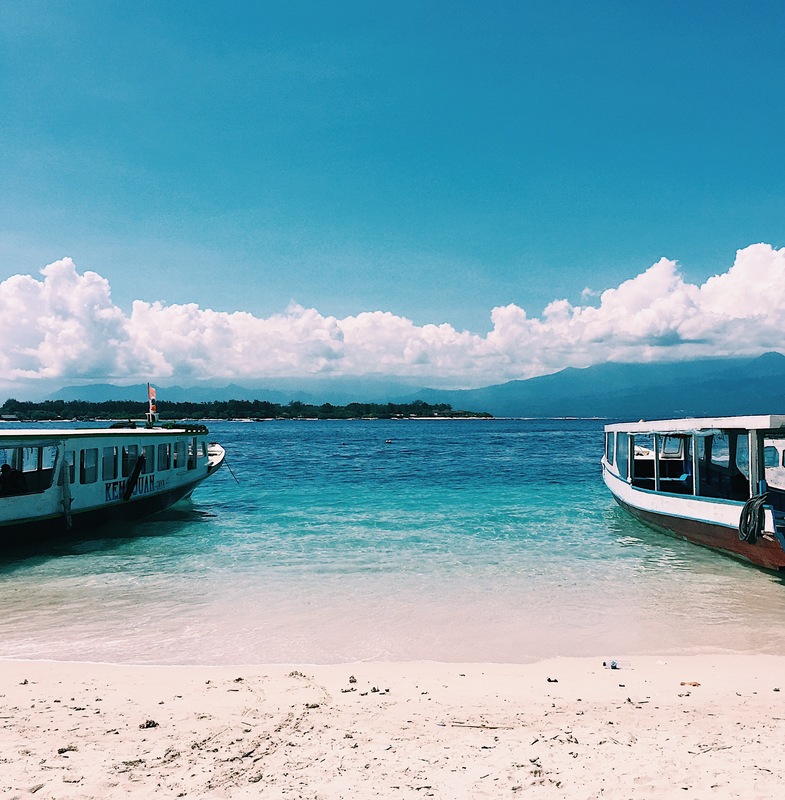 I love Gili T. and the fact it’s busy and you can party on a night, but there is a quiet part, so you get the best of both worlds. After getting off the boat from Bali, the heavens opened and there was a huuuuge tropical thunderstorm, which made the 20 minute walk to the hotel from the boat more like 40 minutes. And I was terrified I was going to get struck by lightening – not to mention every single thing on our bags got soaked and we had to walk through 3 foot of water. Luckily on the other side was Gili Teak – we we so impressed when we got there and had super-hot showers then sheltered from the storm in their fluffy towels and ordered room service (I had the Beef Randang – delicious). The bathroom in our bungalow was the best bathroom ever – his ‘n’ hers waterfall showers, and indoor pond with loads of little fish and coy carp (who we named Oliver, Theresa and ‘The Others’), two stone sinks, creeping vines and an open roof. I was literally amazing. I’ve never been so clean as I spent most of my time living it up in there! The room itself was equipped with an XL King bed that was a dream to sleep on, desk, reading nook, fridge freezer, TV with loads of channels and TiVo. Outside we had a deck with a coffee table, comfy chairs and parking for two bikes. 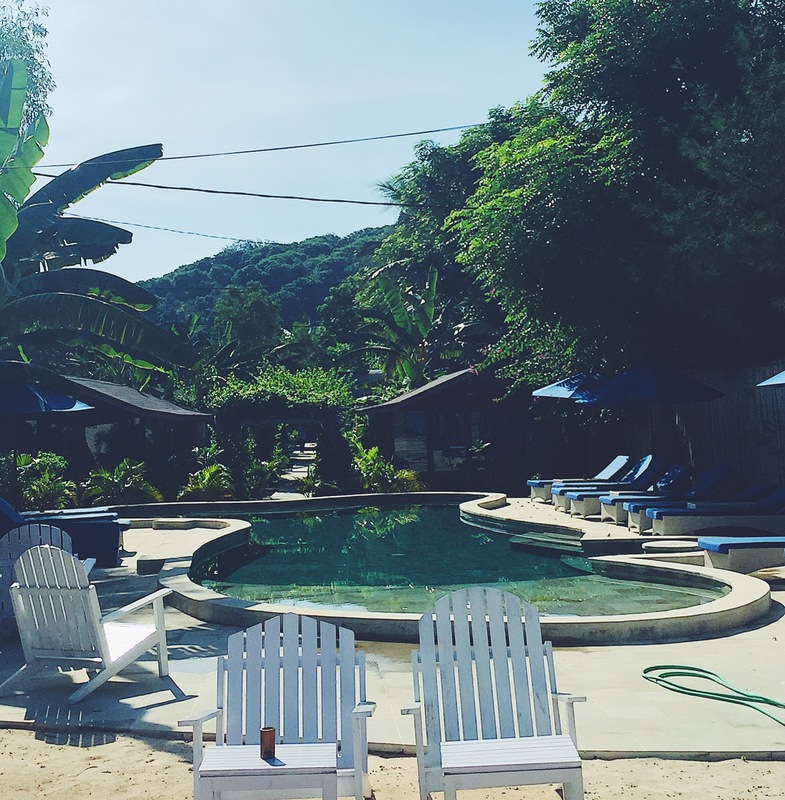 The hotel itself had a great pool and sun loungers, really attentive staff and did the best breakfast – like, honestly so good I woke up early because I was excited to eat it. Next door is a great Caribbean restaurant and the beach directly opposite is a wonderful place to swim of watch the sunset. Gili Teak cost around £60 a night for two people including breakfast and was worth every penny. I highly recommend it.